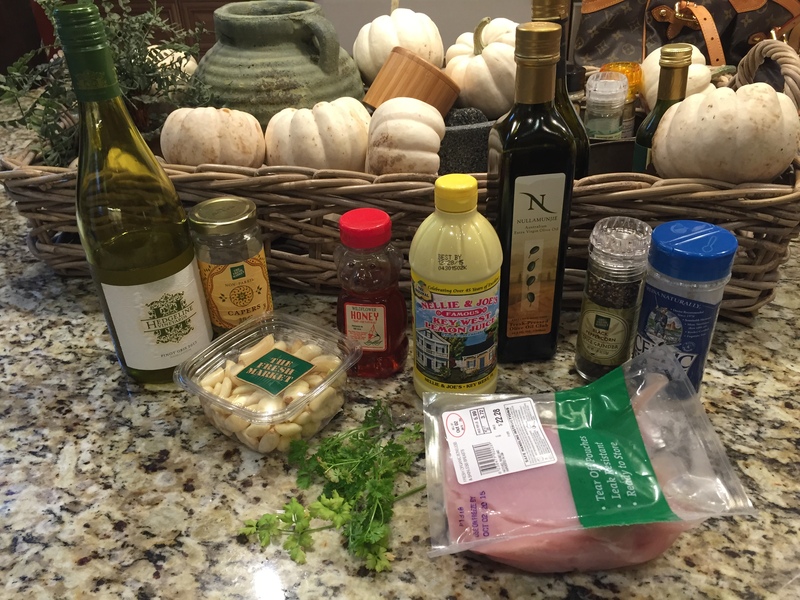 Chicken Piccata Dinner! | what are we having for dinner? 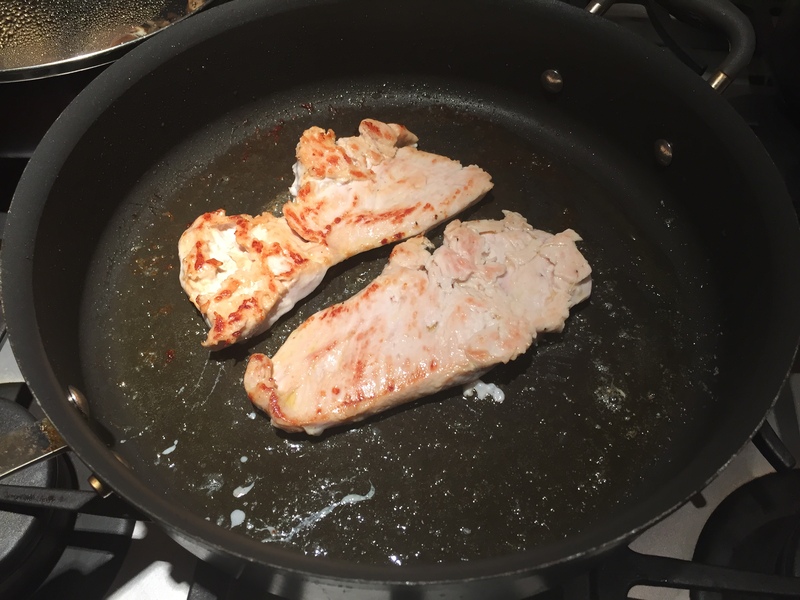 What do you fix when you don’t have a lot of time to prep but want to enjoy a really good hot meal? 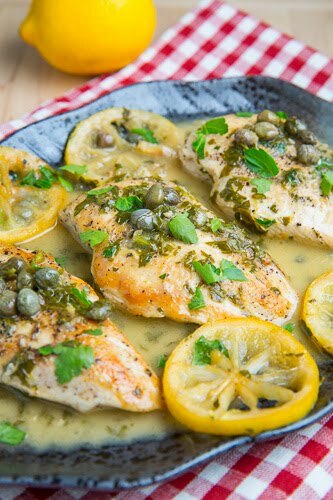 I LOVE chicken piccata! 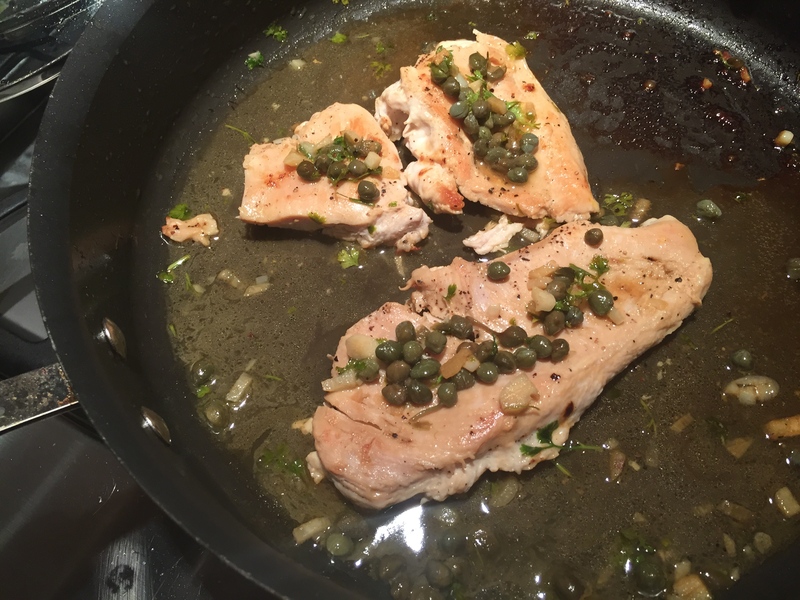 The benign little chicken breast is greatly enhanced with lemon and one of my favorite things – capers! So so yummy! And it’s a snap to prepare. 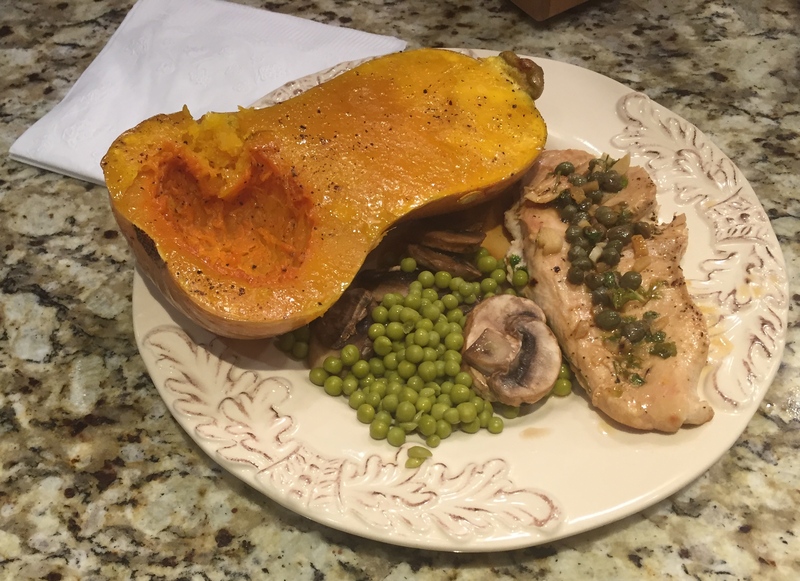 I’m serving it with roasted butternut squash and English peas with sautéed mushrooms. Easy peasy but oh so good! 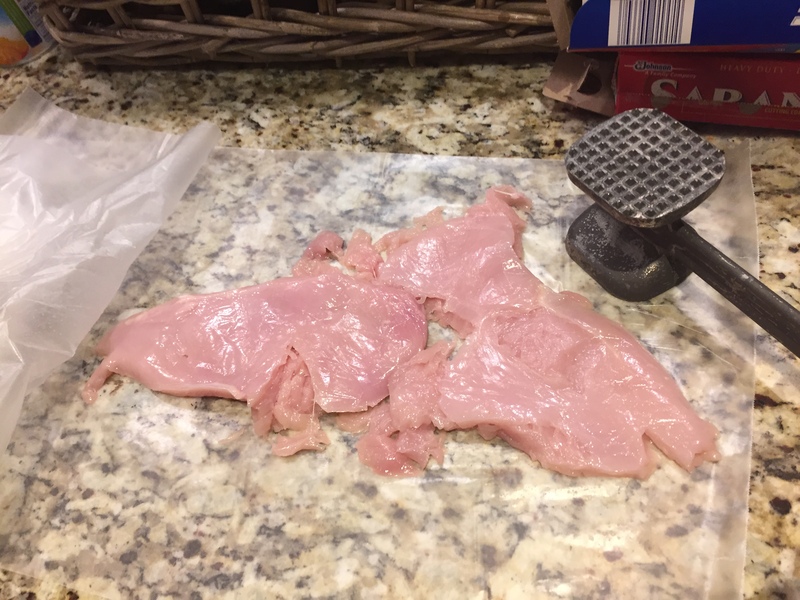 Pound the chicken. 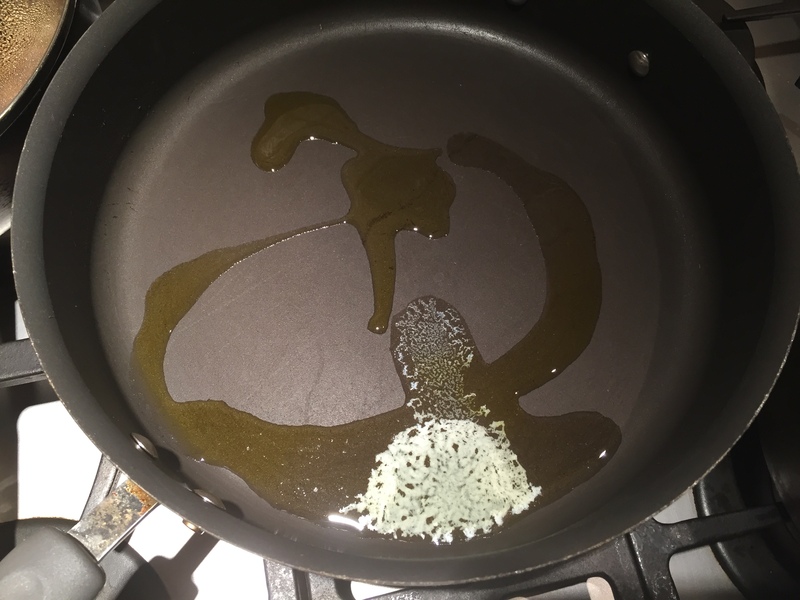 Heat the oil and butter in a pan over medium heat. 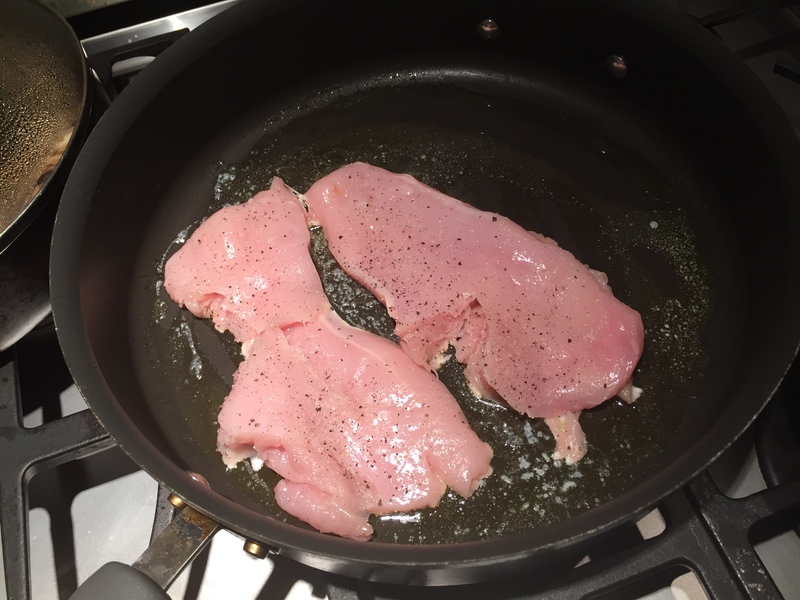 Season the chicken with salt and pepper and fry until golden brown, about 2-3 minutes per side and set aside. 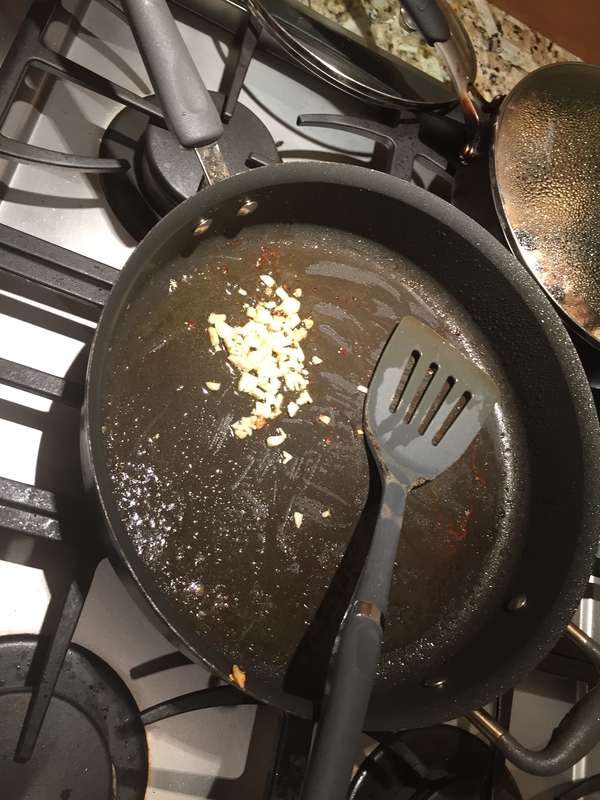 Add the garlic to the pan and saute until fragrant, about a minute. Add the wine to the pan and deglaze it. 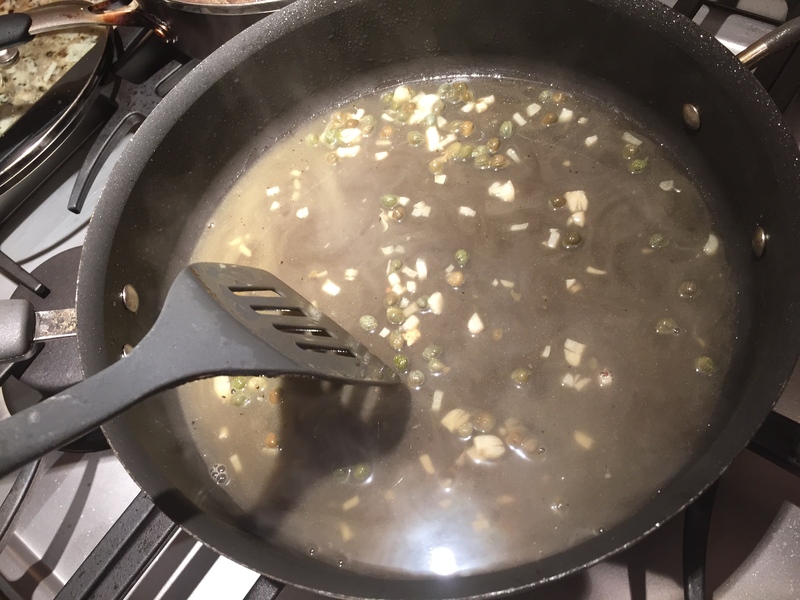 Add the broth, lemon juice, honey and capers in the pan and simmer until the liquids have reduce by half, about 2-3 minutes. 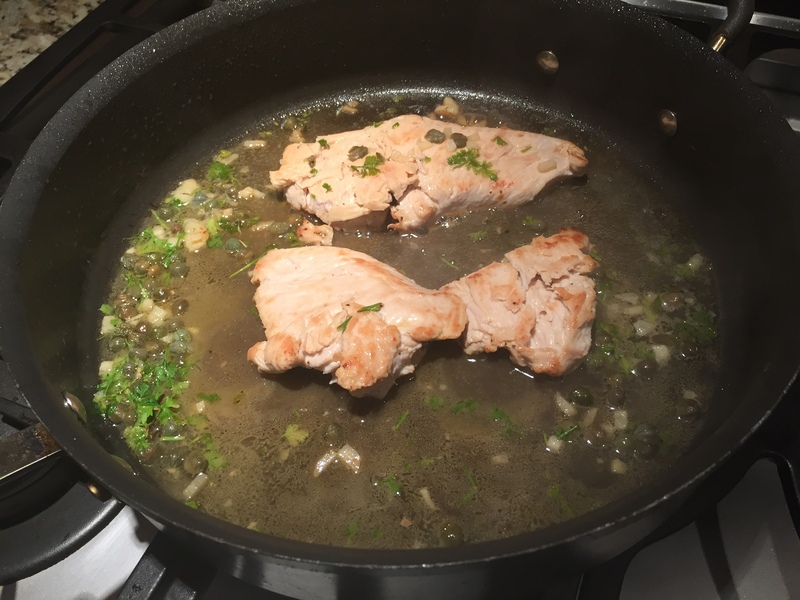 Stir in the butter, season with salt and pepper, mix in the parsley, return chicken to pan and toss to coat. I found this recipe while perusing Pinterest and just had to try it. It’s healthy, delicious and so so easy to prepare. 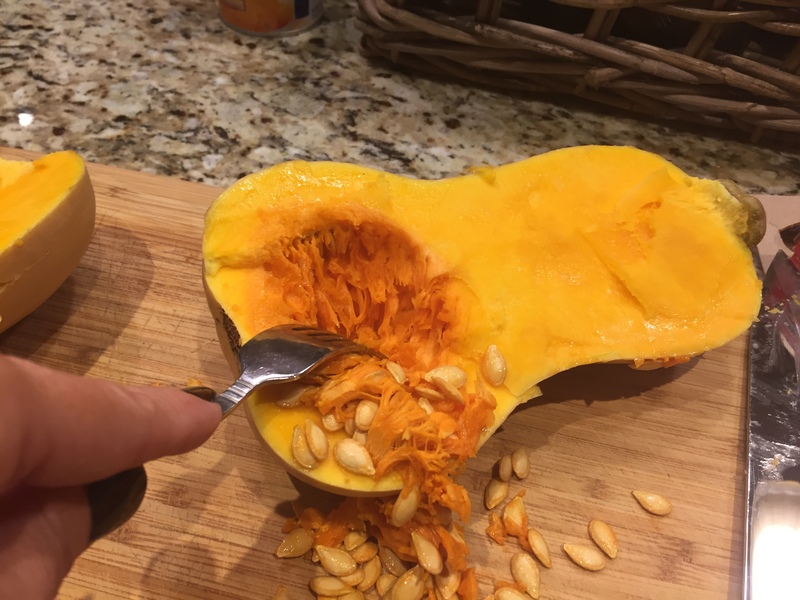 The hardest part is cutting the squash in half! 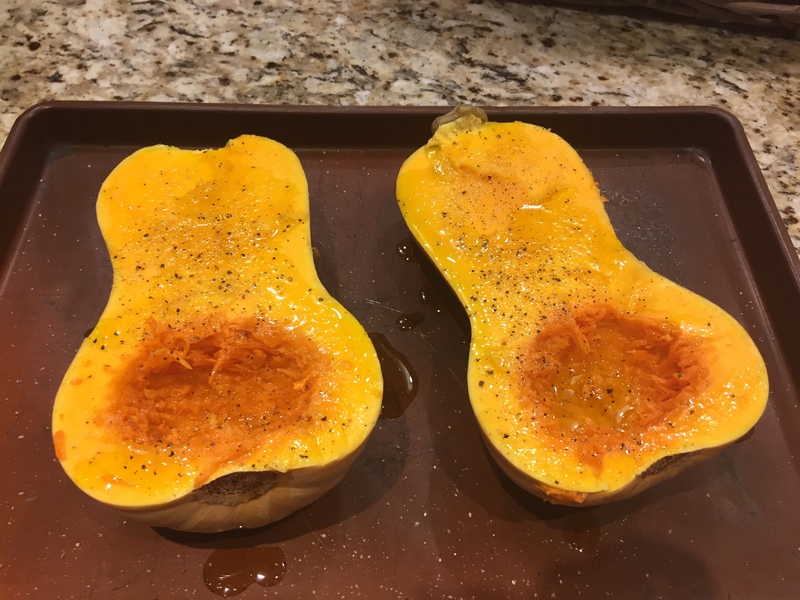 It makes it easier if the squash won’t stand flat on the cutting surface, you cut off the bottom of the squash and then place it on your cutting board. Then you can cut it while it’s upright and it won’t wobble around on you. 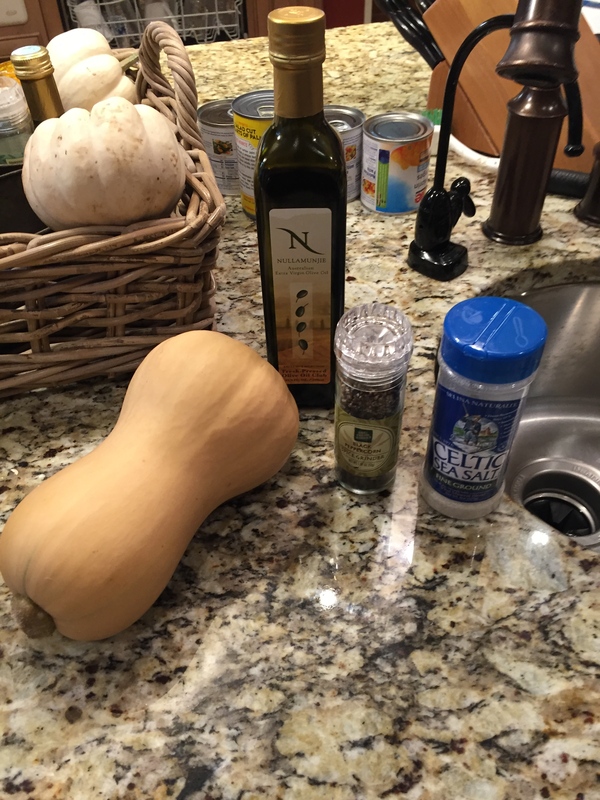 Cut the butternut squash in half and scoop out the stringy parts and seeds with a spoon or fork; place them on a rimmed cookie sheet, and drizzle both with a generous amount of extra virgin olive oil. Then sprinkle liberally with salt and pepper. 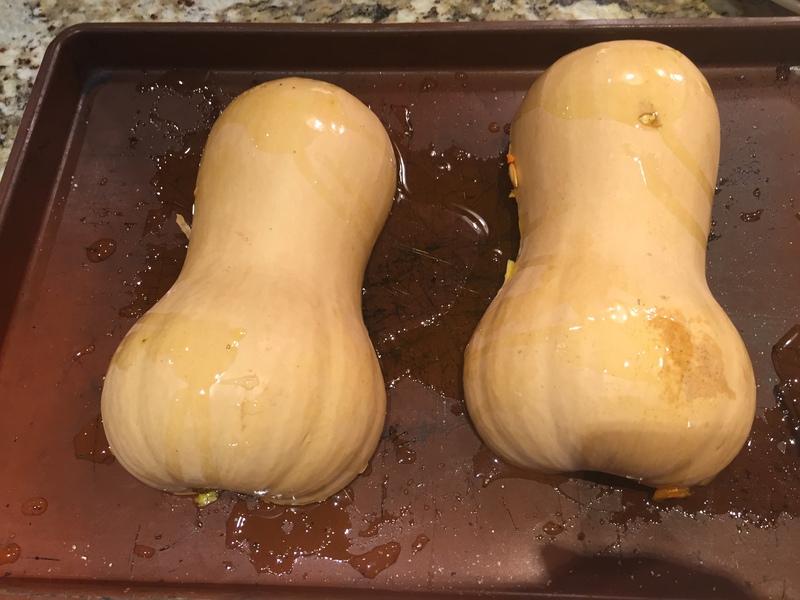 Turn the squash flesh side down, and pour 1/4 cup of water in the bottom of the pan. 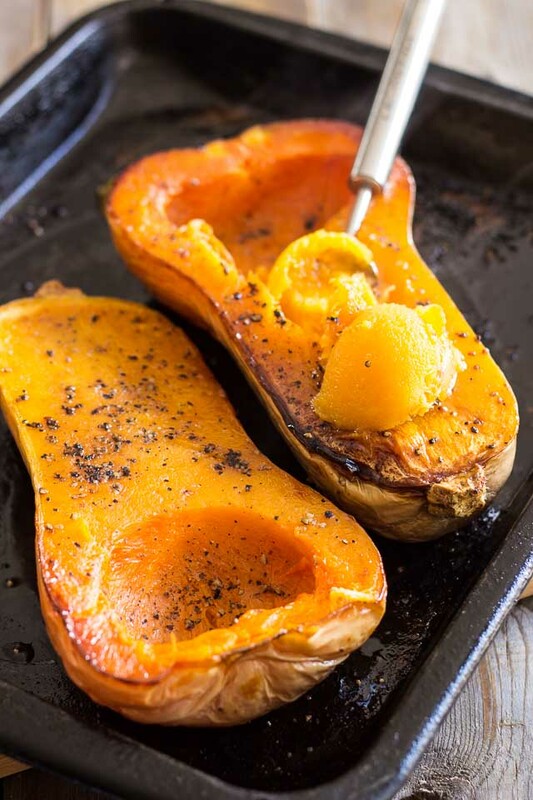 When the squash is fully cooked, remove it from the oven and allow it to cool for a few minutes until you can safely handle it, then scoop out the flesh with a spoon. Serve as is or mash roughly with a fork or potato masher. Enjoy! 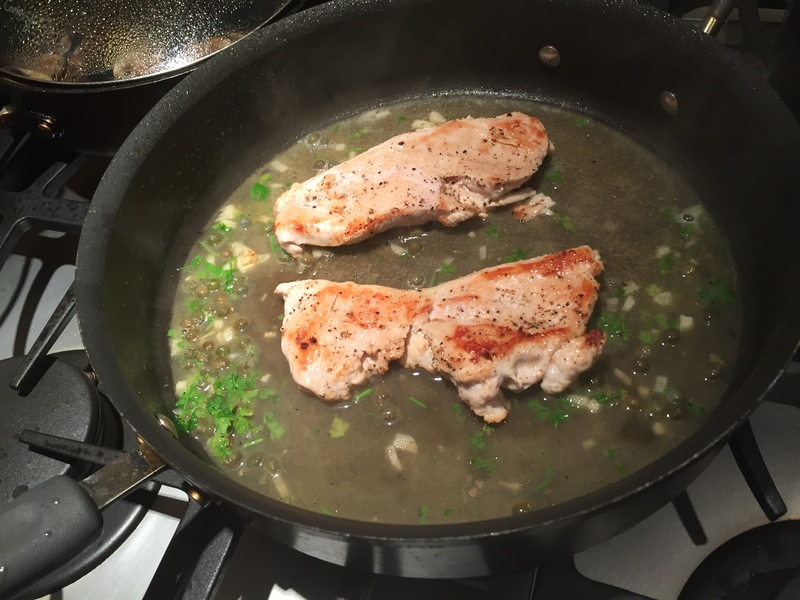 This recipe isn’t really a recipe – it’s from a can! Horrors! 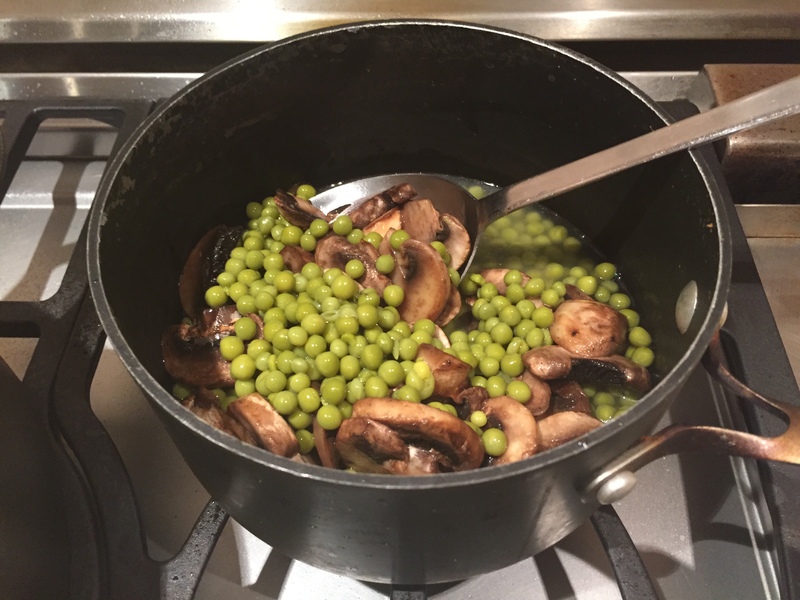 But Le Sueur brand English peas are actually very good, and if you doctor them up with some great sautéed mushrooms, you’ve got a dish! 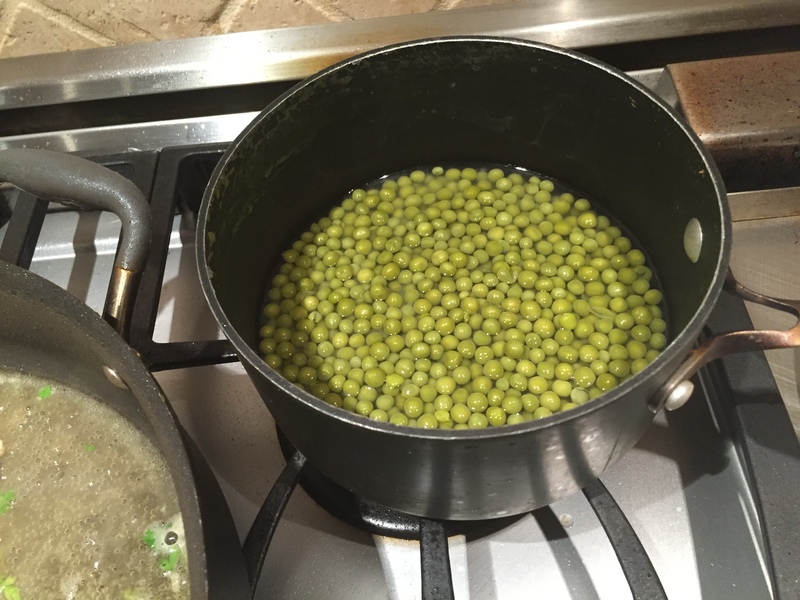 Pour the peas into a pot and heat to warm them. 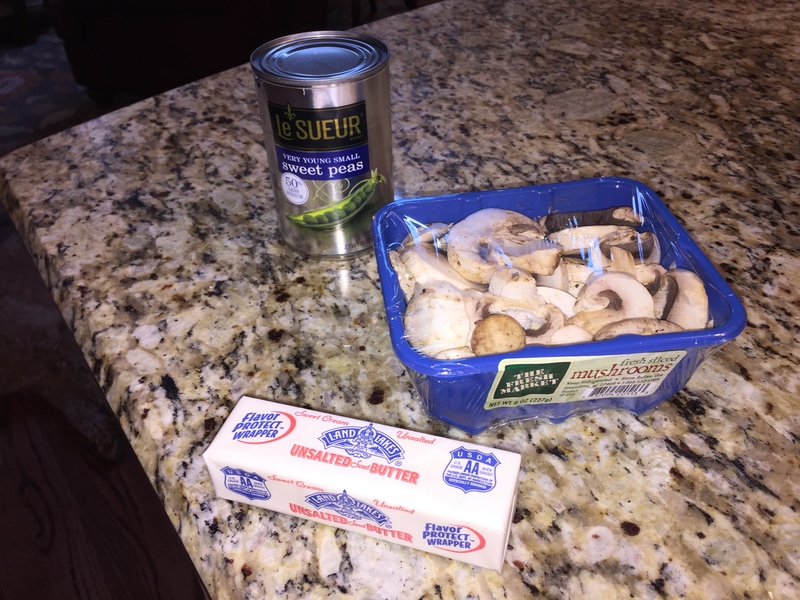 In a sauté pan, melt the butter, then add the mushrooms and worcestershire. 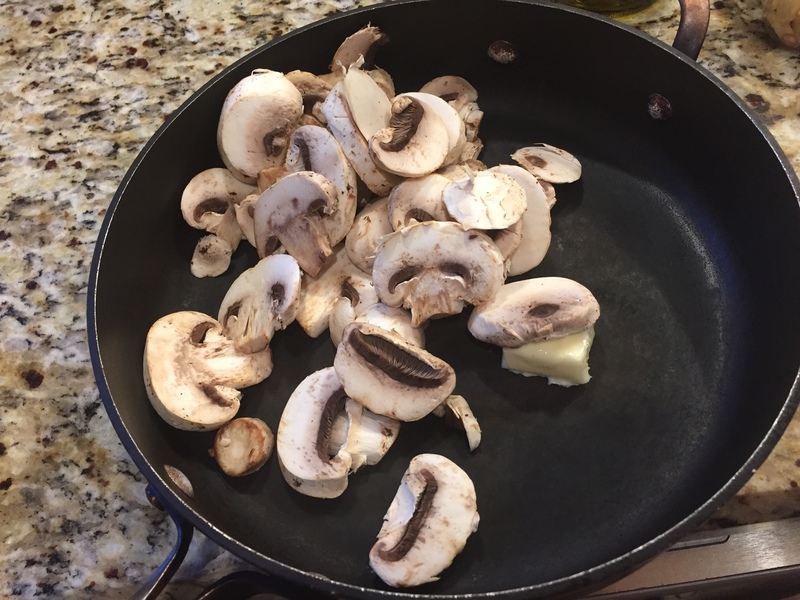 Saute the mushrooms until they are soft and have released their liquid. Add them to the peas; sprinkle with salt and pepper and serve!